Life Is Strange was pretty impressive game. It was very emotional and suspenseful. I never tried the Before The Storm that was a bonus episodes for the main game. I recently discovered a game The Awesome Adventures of Captain Spirit that is a demo for the upcoming Life is Strange 2 and it was OK. In the description of the demo it says that it belongs in the universe of Life is Strange series and have some kind of ties to the Life Is Strange 2. I can’t wait to see what that might be. 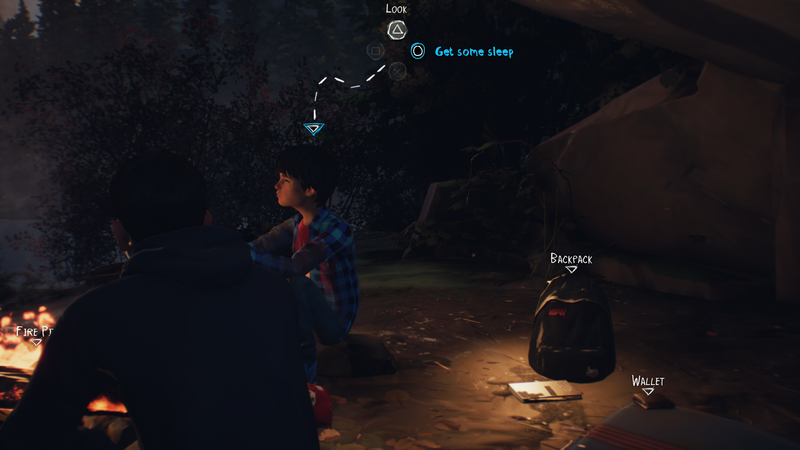 In the first game of, Life Is Strange, main character, Max, had ability to travel back in time and in this sequel the kid, Daniel, has ability of… something that wasn’t quite told in the first episode. Seems like the episode 1 was getting known of the ability and the future episodes might tell story of how he managed to control the power? 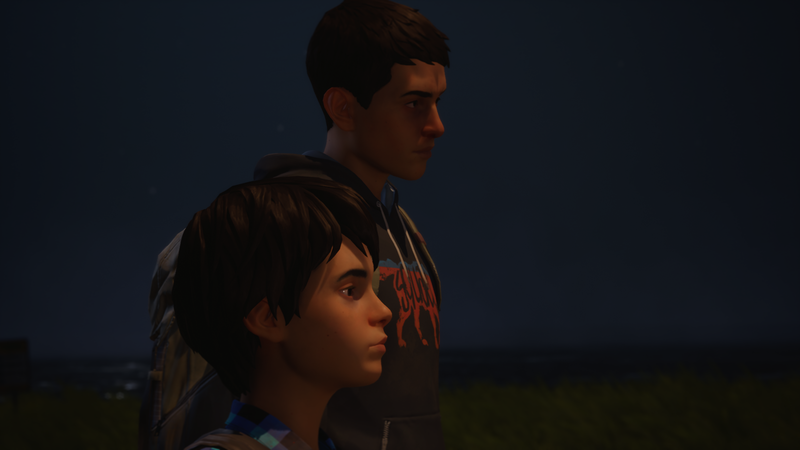 The game starts very emotionally as two kids Daniel, 9, and Sean, 16, who fatally lost their father in an accident. As they think they gonna be in trouble they go for the run and are fugitives. Along the way comes battling with nature, people and with each other. The story seems firm althought the reason they run away seems weird because it was clear that it wasn’t their fault, but hey, kids are kids. What I didn’t like about the plot was how slow it was, I wanted more action or faster progression. I’m not fan of episodes, being more particular; episodes that are released every two months. I like to play everything at once because when the new episode arrives I have already forgot most of the things and choices I made and the feeling of overall how I want to treat the characters. But, it is what it is and only episode 1 it is then. 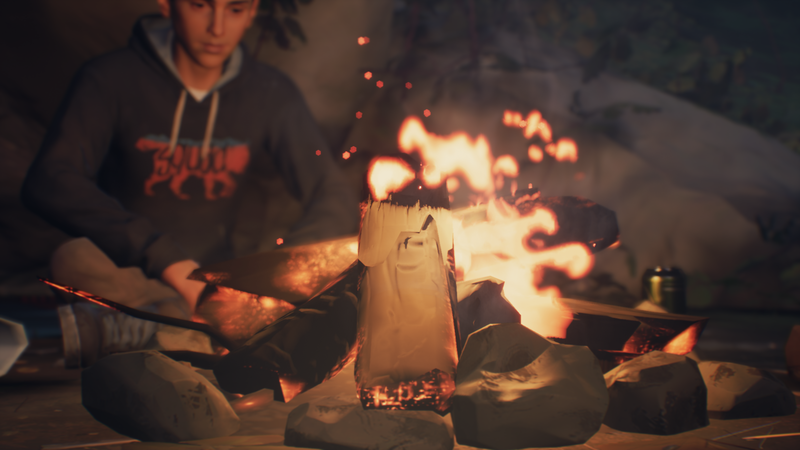 Life is Strange 2 has better graphics than the first entry had, but not like tremendously. I think everything looks much sharper and more details can be seen. 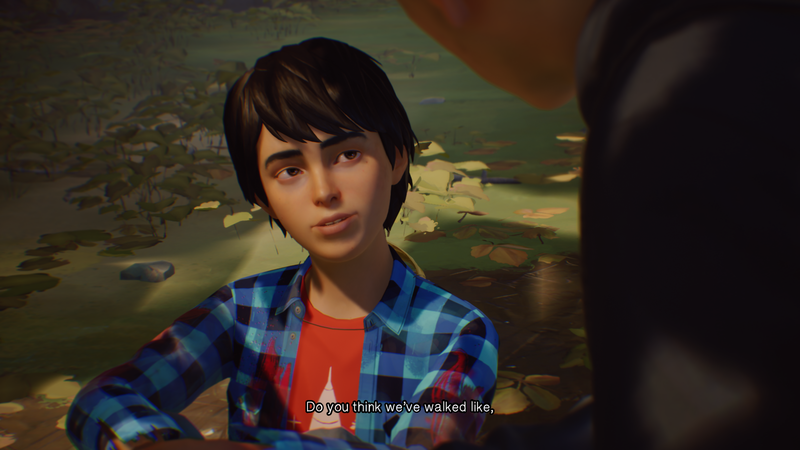 I’m not huge fan of Telltales style (particularly in the Walking Dead series) graphics and Life is Strange 2 reminds me of that. If I would have smaller TV it would be OK but my TV is kinda big and everything just looks very rough, childish and in your face. I don’t remember exactly how Life is Strange was but in this sequel I noticed that many choices can be made and the story changes by it. The choices can be big or small, like taking soda with you instead of beer so you don’t have to buy it later on. I’m not sure how much the story changes since I played this only once and I like to keep it that way until I have played all episodes. Couple times I noticed there is timed prompts but they might be just for trophies such like ‘You Managed To Press ‘Look’ Button And Show Your Brother A Flock Of Birds Before They Flew Away’. At least I didn’t find anything hard in this particular episode other than making those choices. If you are familiar with these kinds of choice making games you can pretty much guess how some things goes and make the decicions by your hunch and not just by the situation at the moment. I’m being super honest when saying this whole episode was just lukewarm and it should’ve been longer. I personally was just bored and when anyone is bored then 9–year–old’s whinings and complaints just gets to your nerve much easily. 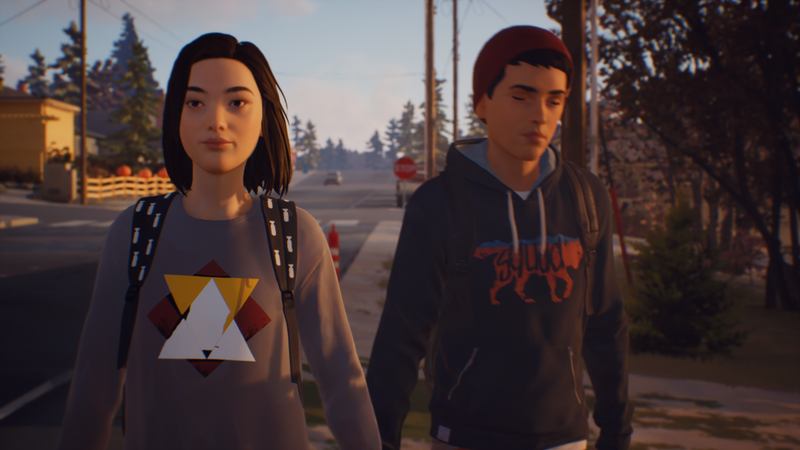 But Life is Strange 2 Episode 1: Roads wasn’t bad either. As the episode ends it seemed to become interesting with little teaser and I can’t wait to see what’s the destiny helds for these brothers.